Last week was an interesting week in our country. This isn’t going to be a political piece, and I’m not going to take a stand here on some of the controversial issues that have been at the forefront of the news recently. But I have noted that much of what has been discussed lately has to do with differing values, and how those values determine how we think the government should (or shouldn’t) respond to social issues. Values are also of paramount importance when it comes to serving individuals with intellectual and developmental disabilities. 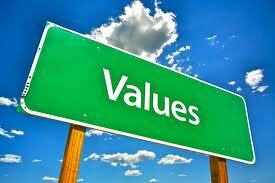 Specifically, it is the values of those who need services which should be driving those services. For example, if the end users of our services value choice, then any service design that doesn’t emphasize choice is already suspect. Or if serving every eligible person is a value, then waitlists are unacceptable. Or if an employment first approach is what matters to end users, then services that don’t explore all options for employment won’t meet the needs of those being served. I could continue, but I think the point is clear. There are many elements of what our end users value in the services they receive. I’m not so naïve to think that all of those values will be perfectly satisfied all of the time, nor am I going to say that sometimes those values won’t contradict other values at times. We all face that challenging reality of life, and designing services that meet the values of the end users isn’t necessarily an easy task. That being said, I do know this: it is unlikely end users value services designed to save Medicaid money or meet the needs of the rules and regulations. Although these may happen, they will happen outside of the values list. Once the values list is complete, set it in front of service designers and let them have at it back in the design room. The designers should have enough information without every stakeholder stirring the pot. The litmus test will continue to be established values. Let’s rethink our approach of everyone at the design table.